The Total War franchise is a staple within the RTS genre, known for its combination of turn-based strategy campaigns and massive real-time battle simulations with complex mechanics. Each Total War game offers a taste of what it’s like to command a powerful army during an iconic historical period. Although the Total War games can be fruitful and rewarding once you really dig deep into the mechanics, the games can also be a bit daunting for newcomers who are still getting acquainted with the strategy game genre. Total War: ARENA offers a more accessible, less time-consuming alternative for those who want to enjoy the advanced strategy mechanics of a Total War game while only having to control up to three units in battle. Even with only three units, there is still plenty to keep yourself entertained while playing Total War: ARENA . Each unit has its own strengths and weaknesses, and it’s up to the player to strategically select the best units for his or her plan of attack. There are more specialised orders and tasks to perform with your units than there were in previous Total War games, so there’s never a dull moment in Total War: ARENA. Total War: ARENA is the next natural step in the evolution of the Total War franchise, combining the spirit of the Total War series with an accessible free-to-play format that builds upon decades of combined experience from Creative Assembly and Wargaming. Finally, fans can experience the large-scale battles Total War is known for without having to spend an inordinate amount of time building up their armies. The action in Total War: ARENA is easy enough to learn and straight to the point, allowing you to jump into a large-scale battle in seconds. Total War: ARENA is also much more accessible in terms of its learning curve, so you don’t need to have played the previous games to dive into Total War: ARENA. New players aren’t overwhelmed with tons of abilities at the beginning, and are given a helpful tutorial to teach them the basics. Players start out with a single commander ability, a couple unit abilities, and a single consumable, with more abilities unlocking as progress is made in the tech tree. History buffs will find so much to love about this game. 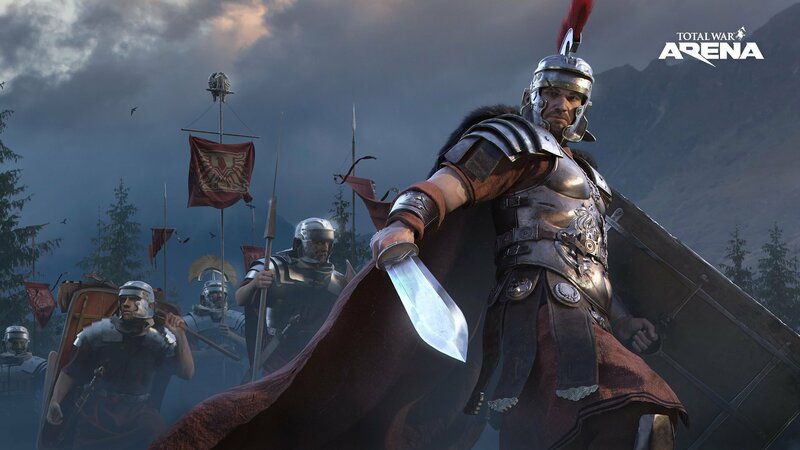 Total War: ARENA boasts some of the most iconic military commanders in history, including the likes of Leonidas, Alexander the Great, Julius Caesar, Hannibal, and many others, each bringing signature units with special abilities into battle. You can pummel your adversaries with a Ballista, unleash War Dogs, and even trample your adversaries with Elephants. You can even do this across a variety of maps based on historical locations from around the world where epic battles took place, such as Thermopylae, Marathon, Gergovia, Teutoburg Forest, and more recently, Capua, with various terrain types to take advantage of on each map. If that wasn’t enough, there’s no chance of being overwhelmed by too many units to control or swarms of enemies to worry about either, because the army system is designed to make life incredibly easy. You choose a Commander from one of the factions, then select their army makeup from within that faction. This allows players to specialize not only in different factions, but also different play styles within that faction. 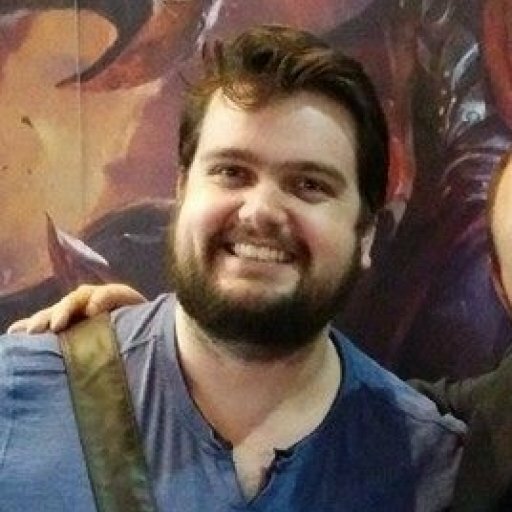 The fact that you’re only bringing three squads into battle means you have less to worry about overall when it comes to the actual micro-level decisions you need to make. With the micro-level decisions brought under control, you can focus more on macro-level decisions like deciding where your army will have the biggest impact without being bogged down by making sure all 20 squads are in fight formations and facing the right directions. This also gives players more time to focus on teamwork and cooperation rather than unit management. Only bringing three squads with you into battle doesn’t mean the battles are small by any means, as the games are 10-vs-10. 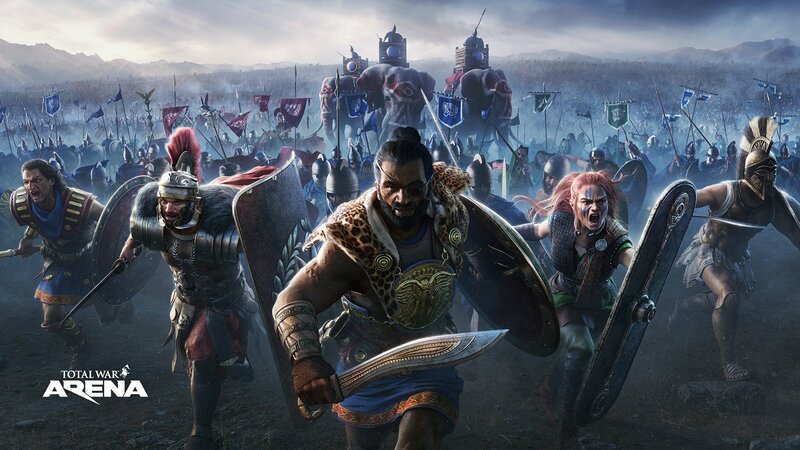 Ten teammates each bringing three squads onto the battlefield means there are still 60 squads battling it out on the map, so the good old chaos from other Total War games is still very much present. With nine teammates to join you in battle, and up to four players per party, there are plenty of opportunities to bring a friend along with you in Total War: ARENA. The best part? Total War: ARENA is free to play. Players can level up endlessly just by playing battles, with the progression speed resetting after every 100 levels to keep things interesting. On top of that, the game provides a steady income of premium currency (Gold), as well as Silver and Free XP for every level you gain. This means that players can enjoy unlocking both premium and free content faster, such as commanders, simply by getting out onto the battlefield. What are you waiting for? Download Total War: ARENA today and make history!